lower right in graphite: W. Walcot. Harvey-Lee, Elizabeth. 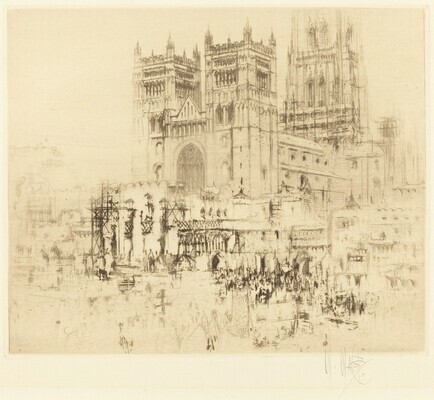 Impressions of Cities Ancient and Modern: A Collection of Etchings by William Walcot. North Aston, England: Elizabeth Harvey-Lee, 2008, no. 108.